This page explains how to install ROS 2 on Windows from a pre-built binary package. As of beta-2 only Windows 10 is supported. You’ll use Chocolatey to install some other developer tools. Download an OpenSSL installer from this page. Scroll to the bottom of the page and download Win64 OpenSSL v1.0.2. Don’t download the Win32 or Light versions. 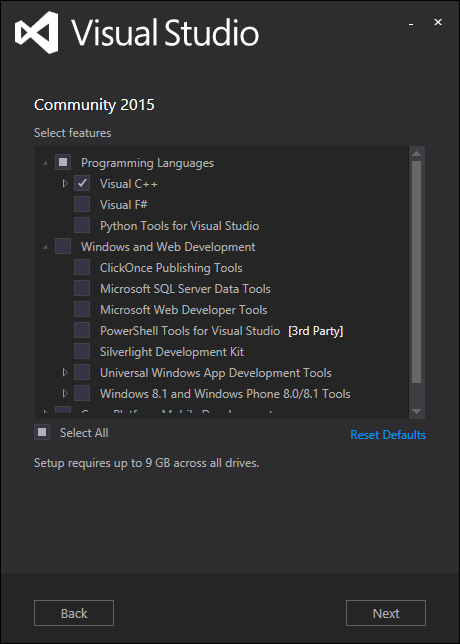 If you already have a paid version of Visual Studio 2015 (Professional, Enterprise), skip this step. 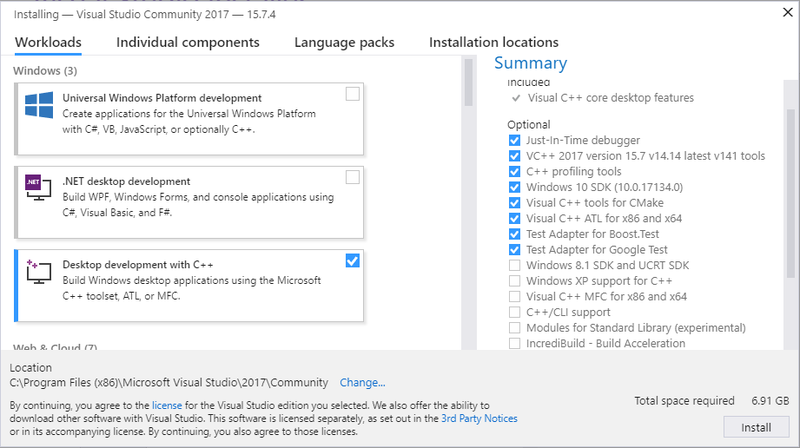 If you already have a paid version of Visual Studio 2017 (Professional, Enterprise), skip this step. Visual Studio 2017 v15.8 seems to have a compiler bug preventing from building some ROS 2 packages. 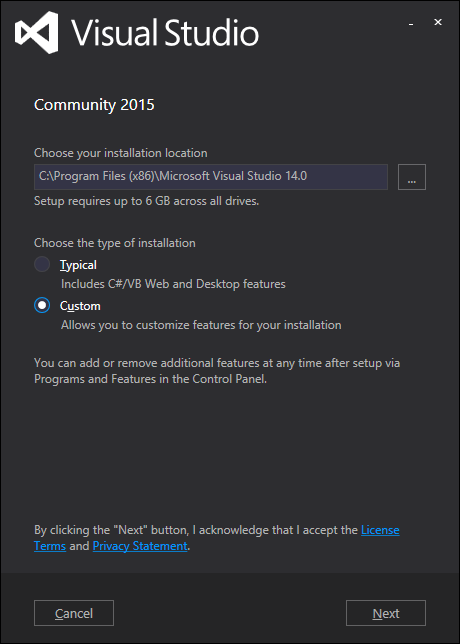 Please try installing an older version of Visual Studio 2017. Make sure that the Visual C++ features are installed. 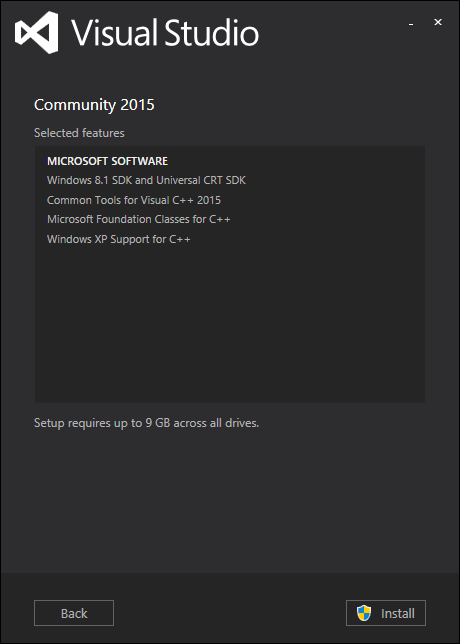 An easy way to make sure they’re installed is to select the Desktop development with C++ workflow during the install. The package you downloaded has been built with optional support for multiple vendors: eProsima FastRTPS, Adlink OpenSplice, and (as of ROS 2 Bouncy) RTI Connext as the middleware options. Run-time support for eProsima’s Fast RTPS is included bundled by default. If you would like to use one of the other vendors you will need to install their software separately. If you want to use OpenSplice, you will need to download the latest supported version. * For ROS 2 Crystal version 6.9.181126OSS-HDE-x86_64.win-vs2017 or later is required. * For ROS 2 Bouncy version 6.7.180404OSS-HDE-x86_64.win-vs2017 or later is required. Download the latest supported version For ROS 2 releases up to and including Ardent, extract it but do not do anything else at this point. For ROS 2 releases later than Ardent, set the OSPL_HOME environment variable to the unpacked directory that contains the release.bat script. To use RTI Connext (available as of ROS 2 Bouncy) you will need to have obtained a license from RTI. You can install the Windows package of Connext version 5.3.1 provided by RTI from their downloads page. Some of the examples require OpenCV to be installed. There are a few dependencies not available in the Chocolatey package database. In order to ease the manual installation process, we provide the necessary Chocolatey packages. You will need to append the CMake bin folder C:\Program Files\CMake\bin to the PATH (you can do this by clicking the Windows icon, typing “Environment Variables”, then clicking on “Edit the system environment variables”. In the resulting dialog, click “Environment Variables”, the click “Path” on the bottom pane, then click “Edit” and add the path). Please download these packages from this GitHub repository. Please replace <PATH\TO\DOWNLOADS> with the folder you downloaded the packages to. Download the latest package for Windows, e.g., ros2-package-windows-AMD64.zip. there may be more than one binary download option which might cause the file name to differ. Unpack the zip file somewhere (we’ll assume C:\dev\ros2). Note (Ardent and earlier): There seems to be an issue where extracting the zip file with 7zip causes RViz to crash on startup. Extract the zip file using the Windows explorer to prevent this. If at one point your example would not start because of missing dll’s, please verify that all libraries from external dependencies such as OpenCV are located inside your PATH variable. If you forget to call the local_setup.bat file from your terminal, the demo programs will most likely crash immediately.